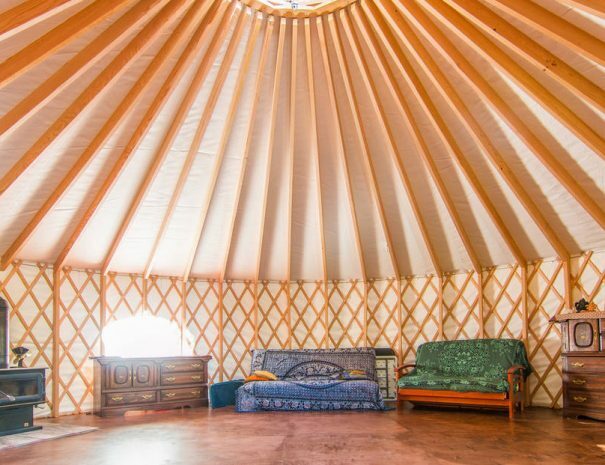 A superb and versatile 28-foot diameter yurt! 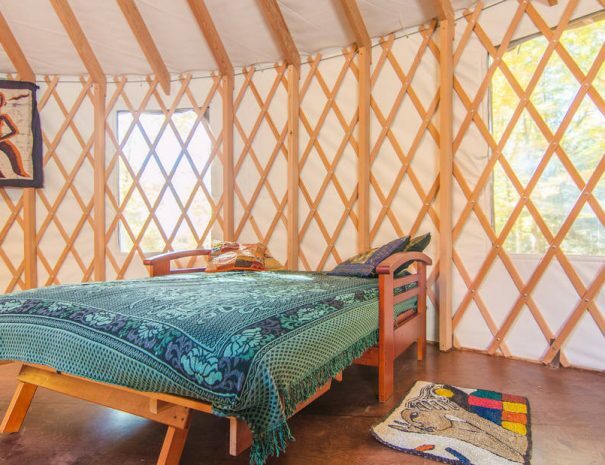 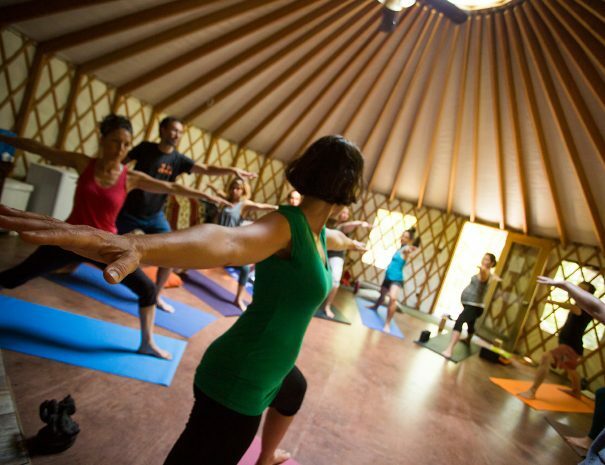 The yurt is an ideal romantic lodge for couples with space for yoga, or an ideal place to get together with friends or family. 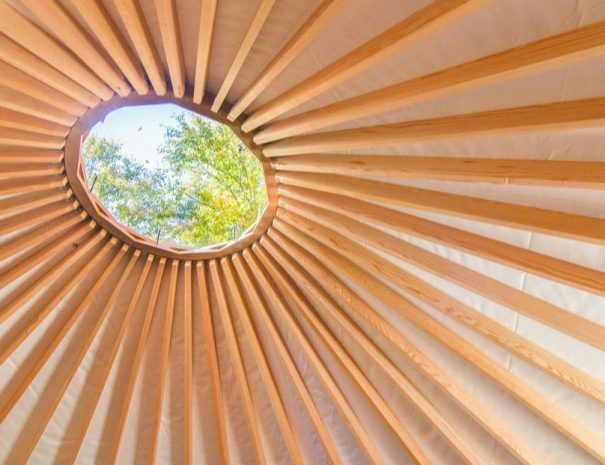 Spacious, with plenty of room to eat around the table with loved ones.